This article was previously published in the July/August edition of The Journal, an official publication of The Chartered Institute of Journalists. It would be a sad and cynical world if the following were true. Two gifted journalists working in a totalitarian regime at odds with each other. One exposing a mass genocide in the making; the other using his position on an equally respectable newspaper to create a smokescreen of doubt. The first returns home and is soon out of work. The other wins a Pulitzer Prize and then lands an exclusive interview with a ruthless dictator. I was made aware of this true story more than a decade ago. A fellow journalist on a visit from Ukraine, begged me to take him to the grave of Malcolm Muggeridge, in a small East Sussex village called Whatlington. The literary editor of the Kyiv-based Ukraine magazine, Anatole Bilenko, laid flowers on the headstone to the man who exposed to the world a man-made famine, which was to cost more lives than the Jewish Holocaust a few years later. 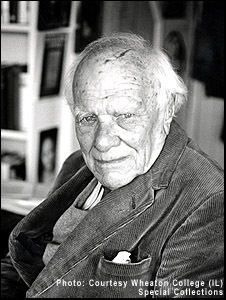 This year marks the centenary since the birth of the Malcolm Muggeridge. It is also coincidentally the 70th anniversary of the Ukrainian famine. 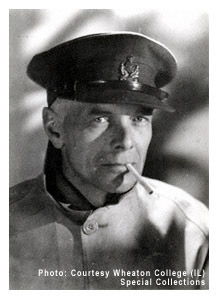 Muggeridge's insatiable urge to visit the Soviet Union led to his arrival in Moscow in 1933, as London correspondent of the Manchester Guardian. A left-wing journalist, excited by the experiment of Soviet Communism, he was soon to become disillusioned, particularly when he had heard reports of a famine, circulating around the Russian capital. Stalin, as Muggeridge was later to discover, had artificially engineered a collectivisation programme to crush the peasantry and snuff out any notions of Ukrainian independence. His plan included the killing and deportation of millions of 'better-off' peasants known as kulaks; as well as setting grain quotas for the rest of the peasantry, which were impossible to reach. When these were not met, special brigades made up of soldiers and party officials were sent in to remove food by force. Keen to investigate, Muggeridge managed to evade his minders and get himself onto a train, and travel to Ukraine and North Caucasus, where he witnessed the mass starvation first hand. In order to avoid state censorship, Muggeridge smuggled out a series of despatches in a diplomatic pouch. In one he wrote: "At a railway station early one morning, I saw a line of people with their hands tied behind them, being herded into cattle trucks at gunpoint - all so silent and mysterious and horrible in the half light, like some macabre ballet." A diary entry read as follows: "Whatever else I may do or think in the future, I must never pretend that I haven't seen this. Ideas will come and go, but this is more than an idea. It is peasants kneeling down in the snow and asking for bread." 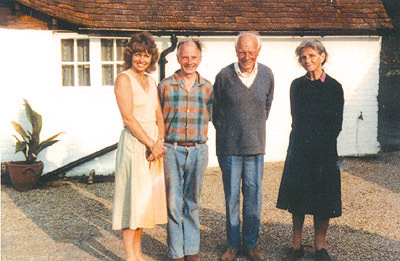 FAMILY PHOTOGRAPH: The Muggeridges, from left to right, Sally, niece of Malcom Muggeridge, Leonard, eldest son of Malcolm Muggeridge, Malcolm Muggeridge himself, and his wife Kitty, at Park Cottage, Robertsbridge, taken around 1984. However, some journalists succumbed to various pressures placed on them. Those, for example, who had been in Moscow for a time, had formed relationships with Russian women. They feared that if they wrote something that upset the authorities they would be sent home. One correspondent managed to get hold of information proving that political prisoners were being used as forced labour in timber camps. He was promptly told to either contradict the report or leave the country within thirty-six hours. He retracted the story. Other journalists such as Gareth Jones, son of a Welsh headmaster, and former political secretary of Lloyd George, who also wrote about the famine in the Guardian, had their work discredited by fellow professionals. Constantine Oumansky, the head of the Press Office, knew how keen the Western press were on covering the Metro-Vickers trial, so he made a deal that they would be permitted to cover the trial of six British engineers accused of spying, as long as they repudiated the famine stories of Muggeridge and Jones. British-born Walter Duranty, who at that time was working for The New York Times, as its Moscow correspondent, flatly denied the famine at every juncture to curry favour with the Communist regime. Richard Ingrams, in his biography of Muggeridge, writes that with Duranty "creating a smokescreen of doubt", "editors had focused their attention, as far as Russia was concerned, on the trial of the Metro-Vickers engineers. "The fate of six British citizens was considered more newsworthy than that of six million or so Russian peasants." His articles and opinions had far-reaching repercussions. They influenced many people in British society such as George Bernard Shaw, H.G. Wells and Fabians Sidney and Beatrice Webb. The Webbs, in particular, were not only regarded as the 'self-styled icons of Communist Russia', but had considerable clout in the formation of Labour Party social policy. Sidney Webb was a Labour minister in Ramsay McDonald's Government. Duranty was awarded the Pulitzer Prize in 1932 for his Five-Year-Plan dispatches - the panel describing his stories as "marked by scholarship, profundity, impartiality, sound judgement and exceptional clarity." Duranty was even given an hour-long interview with the Soviet leader for keeping his nose clean, while privately telling William Strang (British Embassy, September 26, 1933) that "it is quite possible that as many as 10 million people may have died directly or indirectly from lack of food in the Soviet Union during the past year." Back at the Manchester Guardian, few wished to believe Muggeridge's despatches, which were severely edited, and he was forced to leave Russia. Ian Hunter, Malcolm Muggeridge's first biographer writes: "He was sacked, then vilified, slandered and abused, not least in the pages of the Manchester Guardian, whose sympathy to what was called 'the great Soviet experiment' was de rigeur." Muggeridge called Duranty "the greatest liar of any journalist I have met in 50 years of journalism". Duranty further justified Stalin's actions by coining the phrase "you can't make an omelette without breaking eggs". Various reasons were given why Duranty chose to become an apologist for Stalin. One was that he regarded Stalin as "the world's greatest living statesman". Duranty could also have been blackmailed by the soviet secret police over his sexual activities, which reputedly included bisexuality and necrophilia. 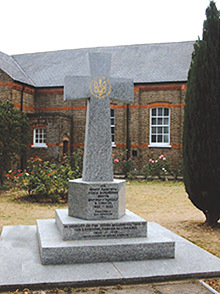 This memorial to the 7 million Ukrainians who perished in the famine stands outside the Ukrainian Orthodox Church in west London. For Ukrainians, their disdain for Duranty is such that part of their anniversary actions this year is to get his Pulitzer Prize revoked posthumously. They have sent thousands of postcards to its committee, and the board is currently reviewing the case. Sig Gissler, administrator of the Pulitzer Prize, said: "Complaints have arisen from time to time. In 1990, the Board gave extensive consideration to requests for revocation of the prize to Mr Duranty - which would have been unprecedented - and decided unanimously against withdrawing a prize awarded in a different era and under different circumstances. "However, the Board is aware of the most recent complaints and, we take them seriously. They are under review by a Board subcommittee and all aspects and ramifications will be considered." Earlier this year the Ukrainian Government conducted a special hearing about the famine, and pledged to build a National Famine Memorial Complex. It is also in the process of drafting a resolution for the 58th Session of the General Assembly of the United Nations in September, to "secure recognition of the famine in Ukraine as an act of political genocide against the Ukrainian people". The recently formed Malcolm Muggeridge Society, set up by his niece Sally, was formally launched on March 24th, the centenary date and aims to bring Muggeridge's writing to a new generation. As president of the society, she said: "He was the foremost journalist of the last century. Malcolm was never afraid to court criticism by taking an unfashionable or unpopular stance." Robert Conquest, the greatest authority on Stalin and author of The Harvest of Sorrow, chillingly wrote more than two decades ago: "Fifty years ago as I write these words, the Ukraine and the Ukrainian, Cossack and other areas to its east - a great stretch of territory with some forty million inhabitants - was like one vast Belsen. "A quarter of the rural population, men, women and children, lay dead or dying, the rest in various stages of debilitation with no strength to bury their families or neighbours. "At the same time, (as at Belsen), well-fed squads of police or party officials supervised the victims." Conquest adds: "It was not only a matter of pure Russophiles, but also a large and influential body of Western thought. "The scandal is not that they justified the soviet actions, but that they refused to hear about them, that they were not prepared to face the evidence." The road from Ukraine to Westminster and back (Jan 1 03).